When shopping at bygreencotton.dk, you always have 14 days right of return from the day you receive your order. This means that you can ship unused items back to us up to 14 days after you received / picked up your package and have your money refunded. However, the item must be returned in the same condition as upon its receipt and with all original labels / marking. 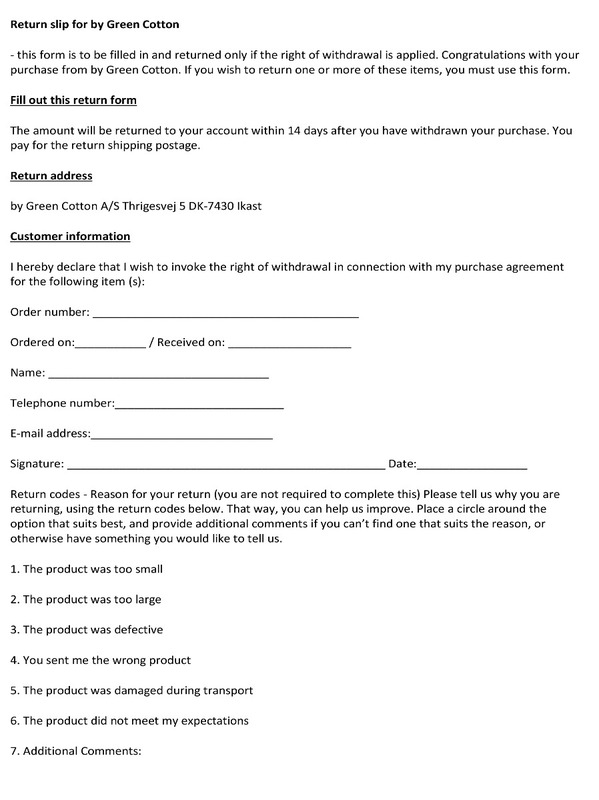 If you wish to return an order or item, it must be returned to us and you must pay for postage when returning your item. You will receive an e-mail from us as soon as we receive your returned product. When we receive the product, we will inspect it and you will be refunded the amount paid for the item. The amount will always be transferred to the same payment card with which you made the purchase. 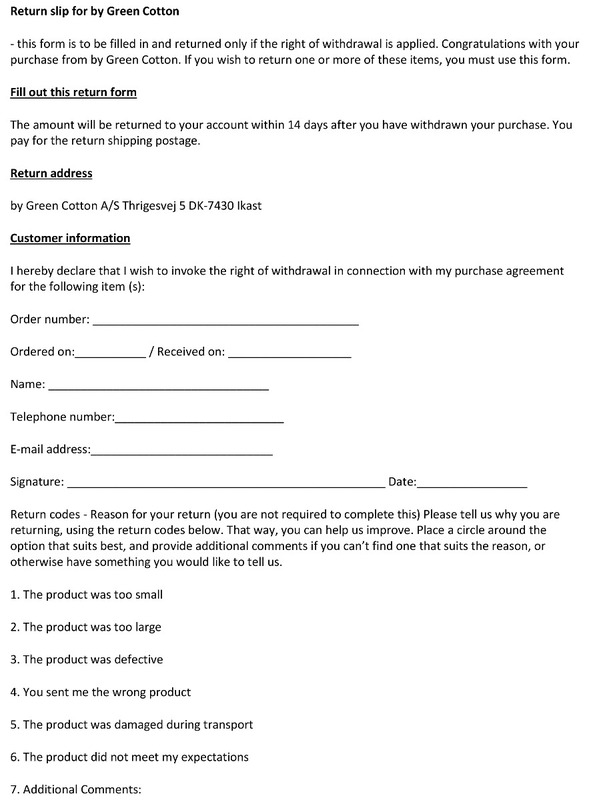 If you want to exchange a product, for example to a different size, you must complete the return slip and send it back with your item. Then, place a new order via the website for the product you want instead. We will ship your new item as soon as we receive your order, and we will credit the money for the returned item as soon as we receive it. The amount will always be transferred to the same payment card with which you made the purchase.